Amazon could have a huge influence on the pharmacy space. 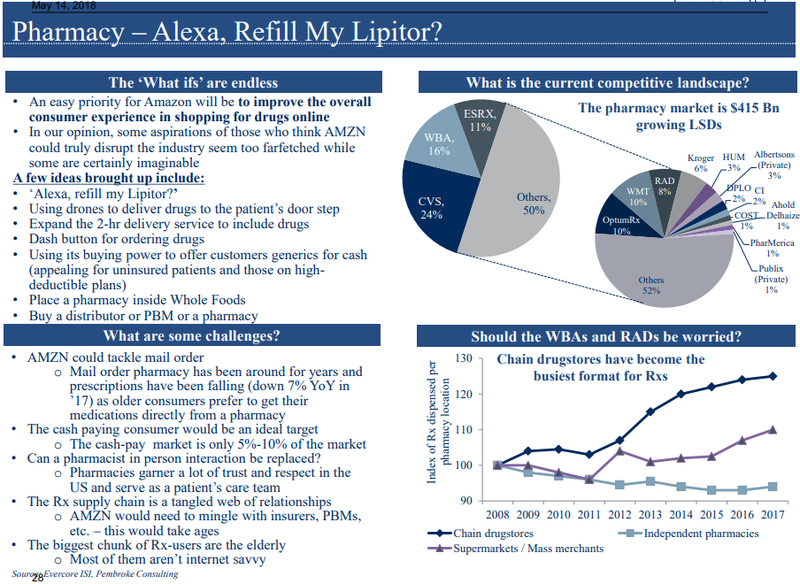 "Alexa, order me my Lipitor" are five words that could prove financially devastating to pharmacies such as Walgreens Boots Alliance (WBA - Get Report) , CVS Health (CVS - Get Report) and Rite Aid (RAD - Get Report) . 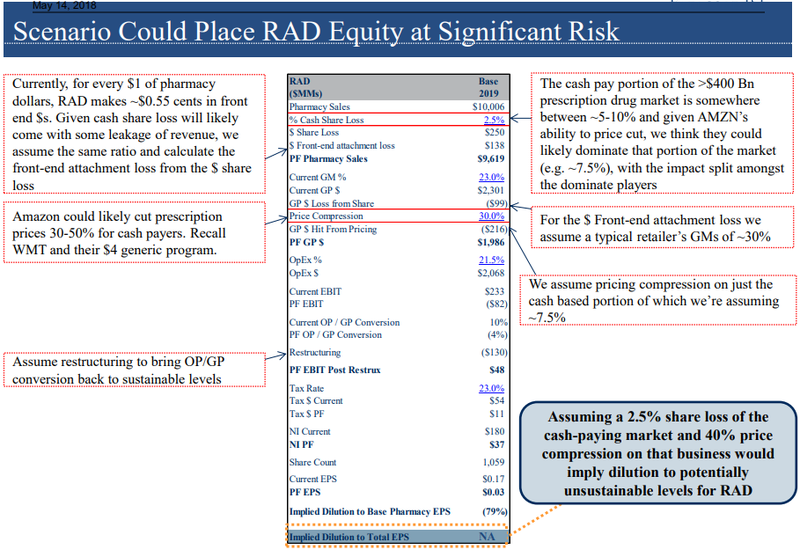 With Wall Street waiting on pins and needles to see how Amazon (AMZN - Get Report) will enter the healthcare space via a tie-up with Berkshire Hathaway (BRK.A - Get Report) (BRK.B - Get Report) and JP Morgan Chase (JPM - Get Report) , there is no denying a move into the pharmacy space could serve up big-time disruption. "An easy priority for Amazon will be to improve the overall consumer experience in shopping for drugs online," said Evercore ISI's analyst Ross Muken in a major drill down Monday into Amazon's possible healthcare initiatives. "In our opinion, some aspirations of those who think Amazon could truly disrupt the industry seem too far-fetched while some are certainly imaginable." Ordering prescriptions and sun block will be pretty easy in a world with Amazon digital and physical pharmacies. 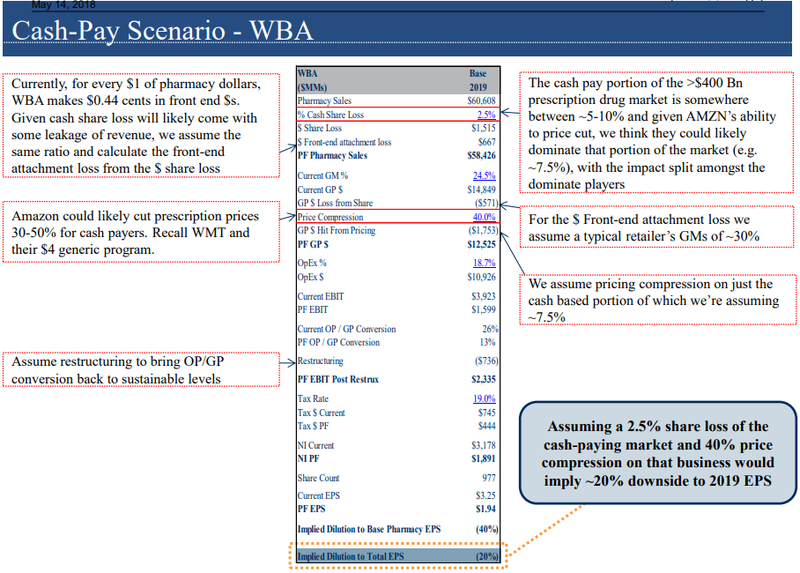 Walgreens could get hit severely if Amazon enters the pharmacy space, estimates Evercore ISI. Long struggling Rite Aid could really fall into hot water if Amazon gets into pharmacy. Amazon and JPMorgan Chase are holdings in Jim Cramer's Action Alerts PLUS.